Dr. Segal enabled the Web’s development by coordinating TCP/IP’s adoption within the European Organization for Nuclear Research (CERN) from 1984 to late 1988, when CERN changed its Internet policy. For CERN’s Internet developers, he was their first introduction to the IP stack and the Berkeley socket Application Programming Interface. He played an important role as an Internet promoter, spearheading the introduction of IP into a hostile Europe when it was not politically correct or career-friendly to do so there. European Postal Telegraph and Telecommunications Administrations and industry were opposed to these standards, and their use outside the laboratory was forbidden. 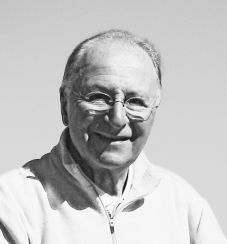 Segal began working on early data communications at CERN in 1971, but it was in 1977, on a sabbatical in Palo Alto, that he first encountered both the ARPAnet and Unix. Back at CERN, working on a satellite system linking European physics labs and interconnecting some networks with an Internet protocol, he saw that TCP/IP protocols could connect CERN's own heterogeneous computer systems. He helped Tim Berners-Lee, who went on to invent the World Wide Web, with design decisions and pointed him to the RFC series and existing protocols like the File Transfer Protocol and Network News Transfer Protocol, which could guide his invention of the Hypertext Transfer Protocol. Segal also developed code such as legacy-to-Internet gateways to help protocol transitions and introduced the Berkeley socket. From 1986 Segal taught courses on Internet protocols, Unix and distributed computing in Europe, Asia and South America.